In early November this year, a number of high profile individuals were named in information released by the International Consortium of Investigative Journalists. Questions relating to transparency have been raised on their use of or connection with offshore structures or investments in the latest information breach labelled as the Paradise Papers. Following the Panama Papers debacle last year, the Paradise Papers have brought the legitimacy of “offshore” into focus again. This article seeks to dispel common misconceptions that all offshore structures or investments are intended for illegal activities. First, we should be clear what "offshore" means. It is generally accepted that the term refers to a different country from where one is residing that offers a comparatively more advantageous tax regime. In many cases, various offshore jurisdictions impose very little or no tax on income and capital gains. There are some who abuse the system, but there are many who "go offshore" for bona fide purposes. A narrative we often see is that offshore structures are for hiding secrets. We must distinguish between privacy and secrecy. Yes, to an extent, these structures provide confidentiality. Do note that privacy is maintained within a regulatory framework, which provides for sharing of information with tax authorities and relevant parties, for instance, law enforcement, on a need-to-know basis. With the implementation of the Common Reporting Standard and the United States’ Foreign Account Tax Compliance Act, financial information will be automatically reported to relevant tax authorities. Financial secrets will soon be a thing of the past. For many wealthy business owners in countries where organised or violent crime is prevalent, threat of extortion or kidnapping is more than an unpleasant fact of life. Offshore trusts and companies, with their advantage of privacy, can be used to own assets and operate businesses. This umbrella of anonymity shields the affluent from unwelcome scrutiny from criminals. Apart from violence, there is now the growing threat of identity theft too. Trusts have existed for hundreds of years and are used for various objectives. One example is legacy planning, as they provide a convenient way of preserving and passing on wealth to future generations. A popular use is to ensure family fortune is not dissipated by spendthrift heirs. Instead of bequeathing directly to kith and kin, assets are held, managed and distributed by professional trustees. This way, the patriarch can maintain wealth for multiple generations when profligate members are kept at bay. Also consider forced heirship rules, which many countries such as those in the Middle East have. Simply put, these countries stipulate that part of a deceased’s estate must be distributed to specified family members (typically dependants or descendants) regardless of their actual needs. Such rules ensure that this group of beneficiaries is adequately provided for. However, forced heirship restricts a testator’s freedom; its rigidity prevents a testator from distributing his estate more equitably among beneficiaries who are more needy or vulnerable. The trust is a legal solution. Assets transferred into an irrevocable trust are no longer part of one’s estate and would not be subject to forced heirship. Under the trust, an offshore company is typically set up to hold the assets, which ensures that the assets are kept separate from other property the trustee may hold for other third parties. Many investment vehicles, such as private equity funds and unit trusts, are established in offshore jurisdictions. For instance, Cayman Islands is popular because of its common law framework and an established funds management infrastructure. Many offshore territories have a regime with zero tax on the profits on such funds and allow these profits to be passed directly through to the investors. Without paying any corporate tax, these funds are able to provide higher returns. An investor is then taxed on the profits at its corporate or individual income tax rates. Because the offshore jurisdiction does not impose any tax and in the absence of any exemption, the investor does not enjoy any possible tax credit and would typically have to bear the full tax in its home country. This generally means the local tax authority benefits from more tax revenue. Hence, investors of offshore funds should not be automatically viewed as tax evaders. In many cases involving the Paradise Papers and the Panama Papers, insinuations of tax evasion and other wrongdoing have been levelled against various public figures when none have been proven. The overseas press may well stay clear of outright defamation, but would it be right to cast aspersions on an individual’s integrity simply because he is connected with an offshore trust or investment? With “click bait” headlines, reputations can be irreparably damaged in the court of public opinion and perception. A related point is the individual’s reasonable expectation (and even a right in some cases) that his personal affairs are to be kept private. Surely the famous and wealthy do not have a duty to keep the public apprised of their financial dealings. If so, information from hacks should not be publicly disclosed, especially if there is no evidence of transgression. We should note how the Paradise Papers were obtained. Our Computer Misuse and Cybersecurity Act (CMCA) criminalises the illegal obtaining of personal information from computer systems. The CMCA is extraterritorial and applies to offences where data is located in Singapore at the material time or if the offence causes a significant risk of serious harm in Singapore. If a similar hack had occurred in Singapore or had involved financial information of parties in Singapore, it would likely be a criminal offence under the CMCA. Yes, some misconduct, tax evasion, and criminal activity may have been exposed. We cannot condone breaking the law. But we need to ask ourselves if these hacks and subsequent public disclosures are justified. There is nothing wrong with offshore entities and investments in themselves. They have for years been used for purposes that are above board to meet genuine and justifiable needs. The problem is not with “offshore”. Instead, we should focus on errant service providers who turn a blind eye to, or are complicit in illicit activities. They should be subject to more stringent but calibrated regulatory oversight. 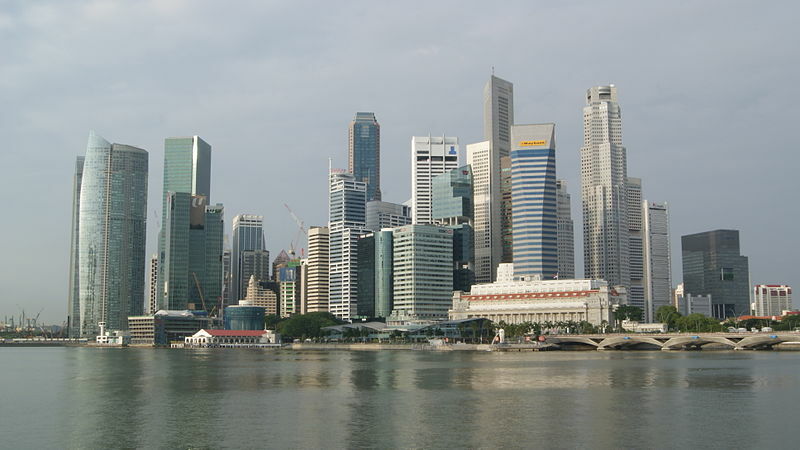 A good example is the Monetary Authority of Singapore’s detailed guidance, for example, to trust companies on measures to prevent money laundering. The law abiding should not be dragged under in a whirlpool of publicity. Existing defamation laws may be inadequate to protect reputations from being swamped by waves of “fake news” or suggestive press coverage. Care should be taken to balance public interest with the right to privacy. There should be measures to regulate reportage based on stolen information when no offences have been committed. The rule of law should always prevail. Even in paradise, there is still a need for clear lines drawn in the sand. ** The article first appeared in The Business Times on 24 November 2017.